PARIS—Jan. 22, 2013—Cyanide Studio returns with two new games set in Rackham’s medieval-fantasy universe: Dogs of War Online, a free-to-play arena-based strategy game, and Aarklash: Legacy, a tactical adventure game. Inspired by Confrontation, both are set for release in Q2 2013. Aarklash: Legacy puts players in command of a group of mercenaries on a perilous mission! Intense fighting awaits the player, who will be tasked with finding the most effective strategies using the pause system. 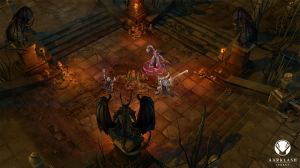 Though combat is at the heart of the game, players will also have to explore uncharted areas and develop tactics in the midst of a storyline full of twists and turns. Cyanide today reveals the first screenshots of Aarklash: Legacy with an overview of Acheron and Behemoth, two regions in the world of Aarklash that will be explored as the adventure unfolds. The heroes of the story are also shown, along with some of the creatures they will face in these hostile lands! 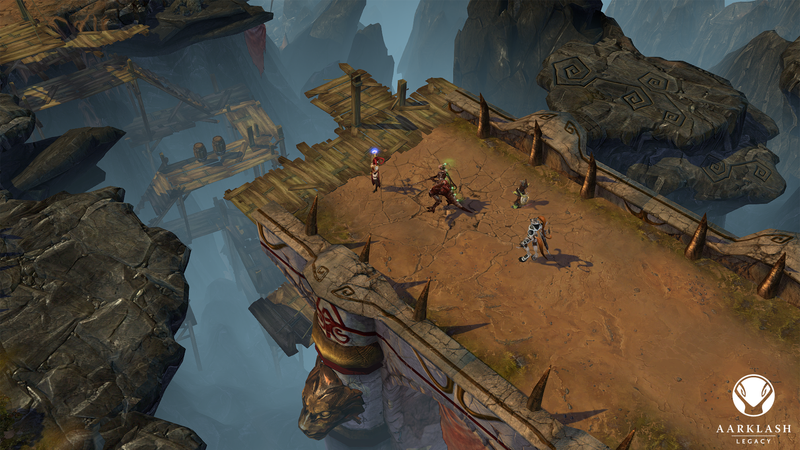 Aarklash: Legacy promises to be an epic quest with numerous battles. The heroes Nella, Denzil, Vendaroo, and their partners are sure to be back with more info in the coming months! Cyanide is an independent and privately held video game studio. Based in Paris, it was created in 2000 and has risen to become one of the most productive game development studios in France. In 2007 the company opened a facility in Montreal, Canada with total team of 100. The studio is best known for its Pro Cycling Manager series. Cyanide also boasts games drawn from a wide variety of universes including Loki (Action/RPG, 2007), Blood Bowl (sport/fantasy/RTS, 2009/2010/2012) and Dungeon Party (F2P MMOG, 2009). In 2009, Cyanide secured the video game adaptation rights to George R. R. Martin’s A Song of Ice and Fire series. Within that universe, a tactical, strategy game was released for the PC in Q3 2011 as well as an RPG on PC and consoles in 2012. 2012 was also the year of Confrontation, a tactical RPG based on an IP acquired by Cyanide in 2010, and Of Orcs and Men, another RPG jointly developed with Spiders.